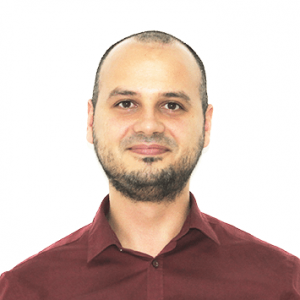 As the Director of Software Development for LAMP and Front-end, Krasimir challenges himself with a variety of tasks and responsibilities on a daily basis. His goal is developing his team member’s technical and soft skills, while ensuring high quality code and fast delivery. He is also a successful mentor and interviewer of future employees. Krasi is often involved in supervising various projects and resolving any setbacks that may occur. He is fast in recognizing possible problems before they occur and is able to prevent many of them successfully. His ability to think out of the box and offer quick solutions is highly appreciated. During his twelve years of professional experience Krasi accumulated advanced technical knowledge and strong leadership skills. He is always up to date with the new developments in his area of expertise. That enables him to create complex architectural solutions and ensure the successful outcome of a software project. As the Director of Software Development for MentorMate’s LAMP and frontend practices, Krasimir oversees projects that use a multitude of technologies. Cultivating his colleagues’ breadth and depth of technical knowledge allows them to remain flexible as they help clients create better software for their businesses.